Sign the Mailing List and get 10% discount. Be the fist to know about New Collections and Promotions! 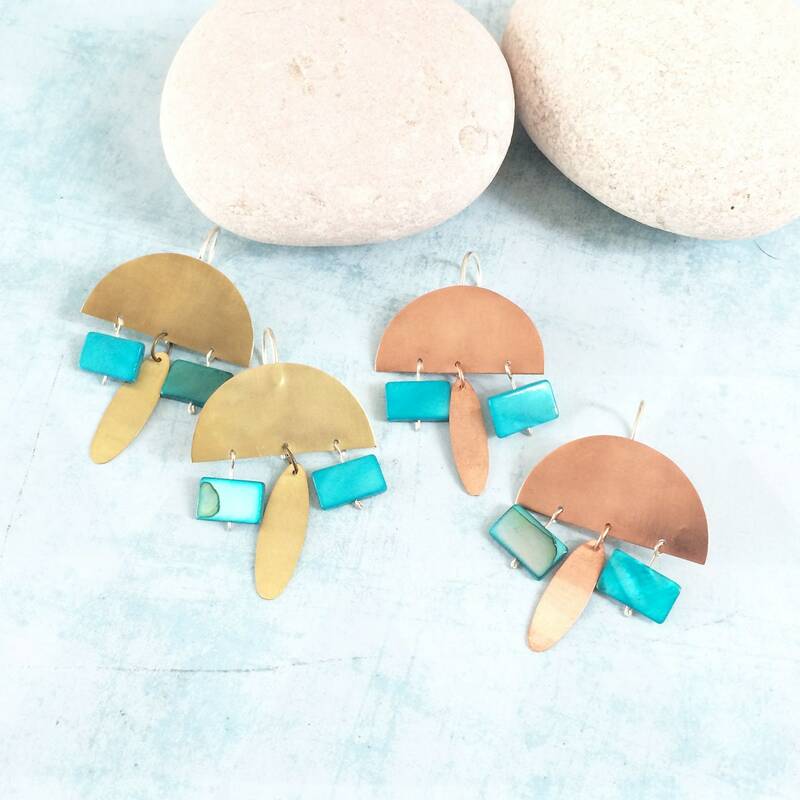 If you like tribal-inspired earrings with natural stones, you'll enjoy this collection. 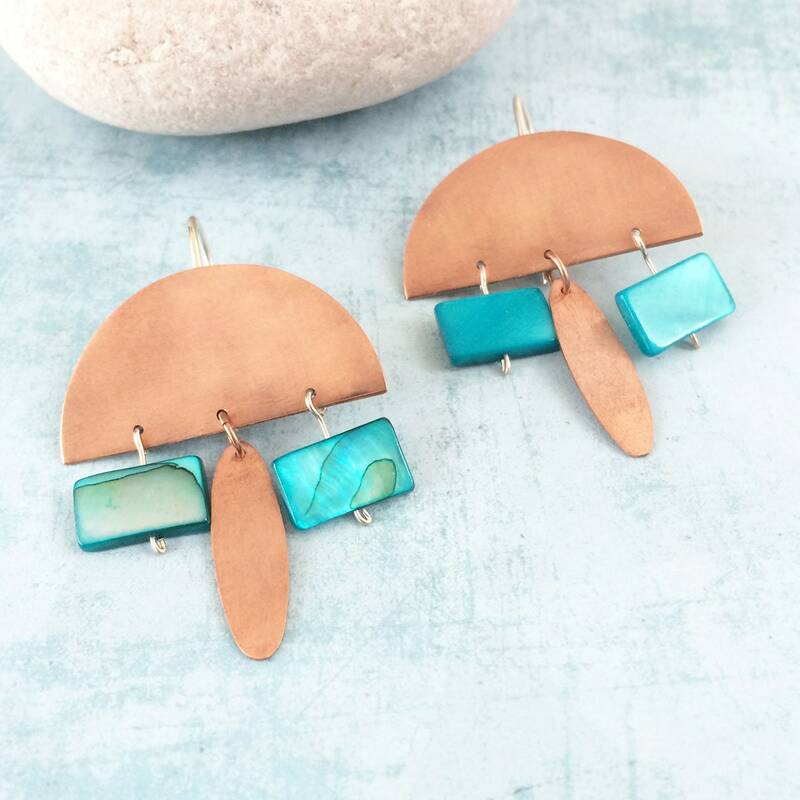 Earrings that combine with a "boho" spirit. Long dresses, lace or even jeans look great in this style. 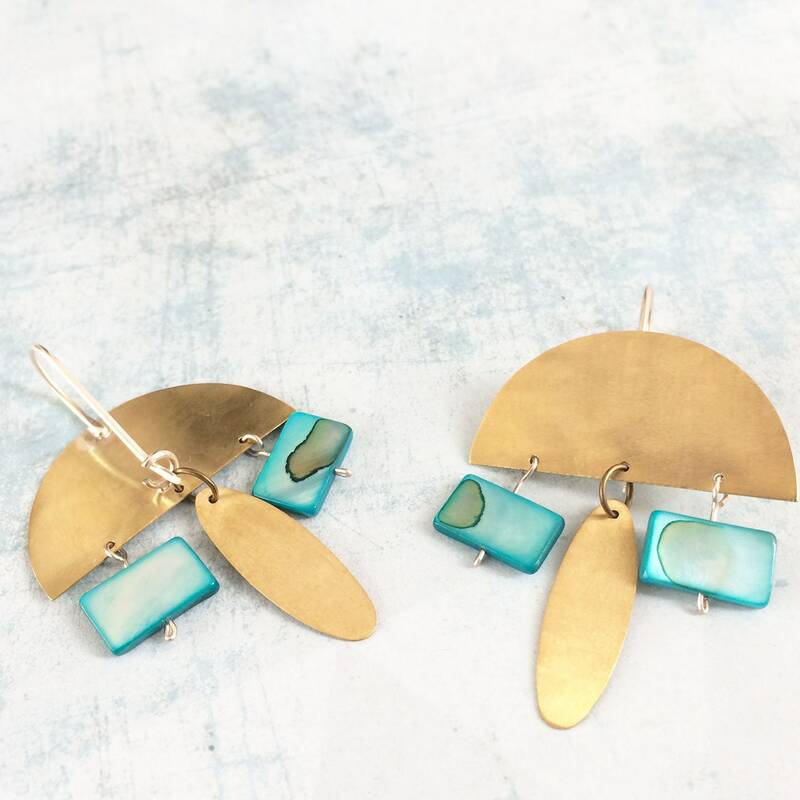 Earrings with turquoise mother of pearl. Combination of geometric shapes. 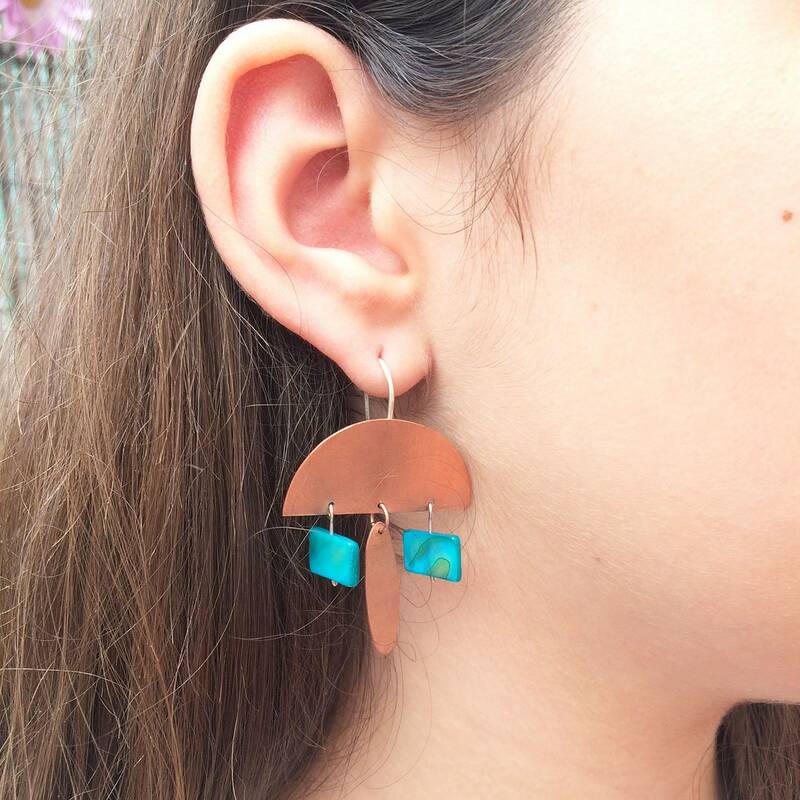 Dangle and drop earrings. The hook is sterling silver. 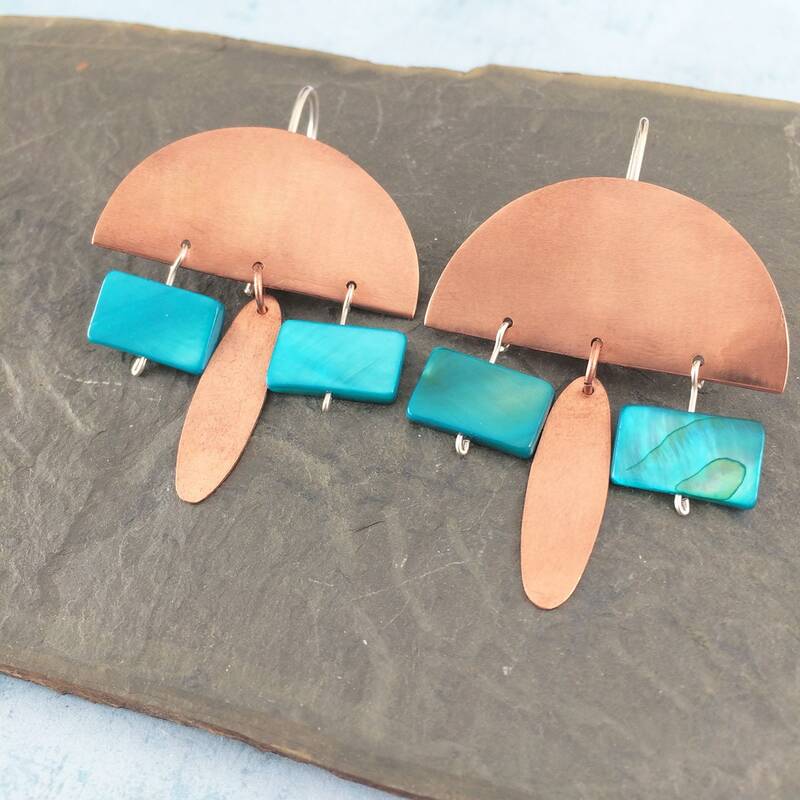 Materials: Copper, sterling silver and mother of pearl. Copper is natural without polishing. Technique: Cutting in copper plate and welding. 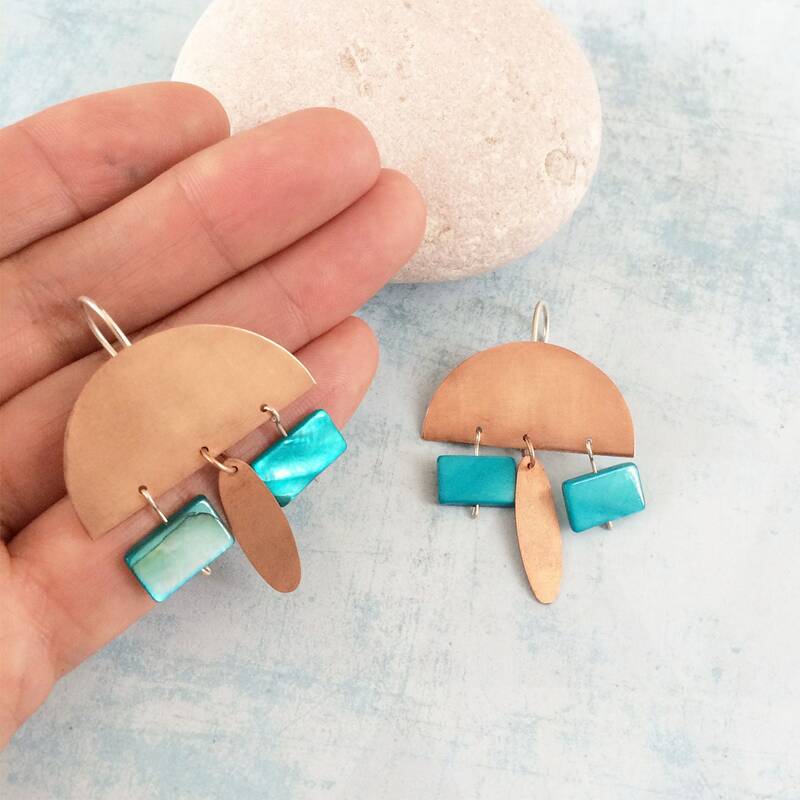 Colors: Rose gold and turquoise. Note: Copper oxidizes naturally over time. To recover the gloss, simply clean with a product to clean copper. All prices have taxes and fees included. Except the shipping costs which are charged separately. After payment confirmation, the piece will be shipped the same day or the next day immediately. Unless the purchase take place during the weekend. It is sent by registered mail, through CTT (post offices in Portugal). The customer is always notified the day of shipment via email. The delivery time depends on the postal service. You can always follow your order tracked in the post office site. I'm not responsible for delays in delivery or strike of services. Refunds are made within 14 days after receiving the order. For the sender named in the order package. After receiving the return, the purchase amount will be refunded to your account. The purchase price is refunded, not the value of the return postage. It will be nice if you mention the reason for the return. Will help improve customer service and work. Please see well the dimensions and description of the pieces. Always provide your full address so there is no misplacement of the order. 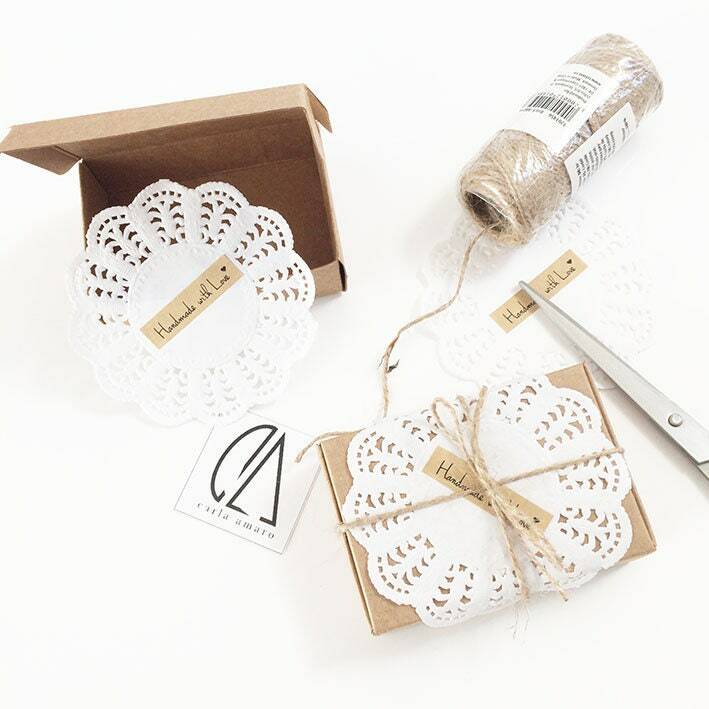 Fulfil your order, you must provide me with certain information (which you authorized Etsy to provide to me), such as your name, email address, postal address, payment information, and the details of the product that you’re ordering. You may also choose to provide me with additional personal information (for a custom order of jewelry, for example), if you contact me directly. Why I Need Your Information and How I Use It. The Site is not intended for individuals under the age of 18.